The all-in-one eCommerce solution that’s purpose-built for Sage. Seamlessly extend your Sage platform to the digital world with secure and real-time connectivity. Sage is an integral part of your business. With digital transformation taking hold, you’re looking for ways to drive incremental revenue and improve operating efficiencies—so it only makes sense to consider a robust eCommerce solution that’s already fully integrated. As the world’s only Sage certified eCommerce solution, it’s cost effective, easy to use, and scalable–right from the start. Get real-time insight and analytics with comprehensive visibility across your entire eCommerce platform. Extend your business and brand using simple, built-in, responsive design templates found in the console. More than 1500 integration points to help streamline your online business process for increased ROI. 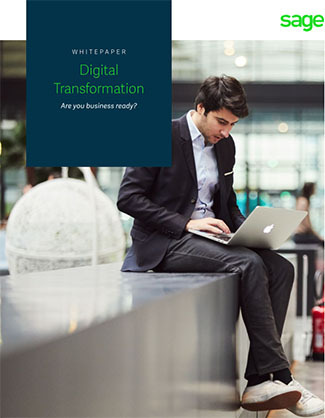 Digital Transformation – Are you business ready? Learn how Sage eCommerce has helped other businesses succeed. The specialist cycling distributor moved into top gear by automating their ordering process for dealers and reps.
Australia’s leading medical supplier needed a solution that would accommodate their business models and clients. After experiencing increased workflow delays, the importer for Micro scooters needed an end-to-end solution. Leading pet product distributor needs a solution for one stop to shop and 24/7 customer connectivity. The largest bowling products distributor in Canada invests in integrated accounting and eCommerce to grow operations. Thank you for your interest in Sage! One of our representative will be in contact with you shortly. ©2018 The Sage Group plc or its licensors. All rights reserved. Sage, Sage logos, and Sage product and service names mentioned herein are the trademarks of The Sage Group plc or its licensors. All other trademarks are the property of their respective owners.